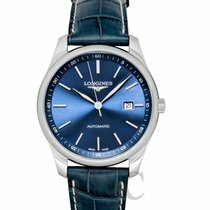 This Longines Master Collection automatic watch features a round 42.00mm stainless steel case and water resistance up to 30 meters (100 feet). 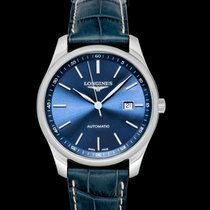 Longines Caliber L888.2 (ETA A31.L01), beats at 25'200 vph, & has an approximate power reserve of 64 hours. 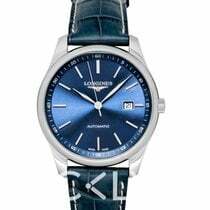 This watch is enhanced with a blue dial and sapphire crystal. The functionality of this timepiece includes hours, minutes, seconds, and date.